County living at its best! Be ready to be impressed as you enter this recently remodeled home. Spacious 3 bedroom, 1 1/2 bath home features a stocked pond on 2.58 acres in the Mexico school district. This open concept home has wrought iron railings along the 4 ft wide staircase that invites you to the bedrooms upstairs. 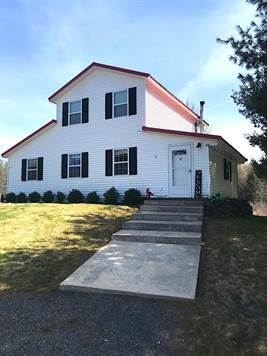 There are lots of new improvements throughout including a new septic system, new deck, 1/2 bath added off the master suite, and a wood burning stove in the basement. Sit back on your deck and enjoy the wildlife or take the kids down the perfect sledding hill that is in your own back yard. Don't miss out on this home!